Tenerife has been named as a finalist for the best winter destination in the Travel Bulletin Star Awards, considered one of the most prestigious awards which are given annually in UK travel. The island is the only continent finalist in its category, where race for the final crown along with Barbados, Dubai, Egypt, Mexico and Gambia. “This nomination confirms the strength of our tourist destination, which is competing in the same category not with other islands, but with countries, which still gives more meaning its presence among the finalists for the best winter destination,” said the president of Cabildo, Carlos Alonso. Meanwhile, the island’s Minister of Tourism, Alberto Bernabé, stressed the importance of being the only destination in Europe among those selected, “which is another reason to be satisfied, and that we should serve to continue in the line of leadership why we have always been committed” he said. The Travel Bulletin Star Awards, along with Travel Weekly and TTG , are the most valuable awards from the British tourism industry. Its credibility is based on the nominees are chosen by travel agents themselves in the UK, both as independent general agencies and online. Voting lasts six weeks and her agents choose the most important companies and destinations in up to 30 categories, including best airline, best destination for families or best leisure park in Europe , which precisely also competes island across the water park Siam Park. The winners will be announced at a gala to be held on September 5, 2016 in London. Travel Bulletin is one of the most important media professionals on tourism in UK. A hard copy of each number is sent directly to all travel agencies in the country. The latest figures from the Tenerife Tourism Corporation indicate that more than 800,000 visitors from the UK travelled to Tenerife between January 2016 and May 2016, representing an increase of 20.8% on 2015. Despite already being the largest source market to the destination, the UK has reinforced its top position with a 20% increase against an overall global increase of 10% over the same period, which saw a total of 2,266,116 international visitors to the island. It means that 34% of all visitors to Tenerife come from the UK, which also has the highest levels of repeat visitors to the destination. Pia Louw, travel industry and promotion director at the Tenerife Tourism Corporation, said: “We are very encouraged to see continued growth from the UK market year-on-year, with average growth of 3.5% for the last five years. The latest figures for the first months of 2016 are also very encouraging and demonstrate that our beloved British visitors recognise that we have so much to offer – from must-visit attractions such as the UNESCO-listed Teide National Park, to the latest products including stargazing, sports and luxury tourism.” The Irish market also saw very good results last year, helped by a 3.6% increase in scheduled flight capacity to the island. A total of 79,328 Irish travellers visited Tenerife in 2015, a 9% rise compared to 2014. In total, the largest of the Canary Islands welcomed 5,186,307 worldwide visitors in 2015, a 0.7% increase compared to 2014 and the highest figure since 2008. The South East of England and Scotland were the two geographical areas which attracted the most visitors to Tenerife – 13.7% and 8.3% respectively. Meanwhile, the majority of Brits travelling to Tenerife prefer to stay in four- and five-star hotels, especially in the beach resorts in the south of the island, which continues to be the most popular area for UK holidaymakers. 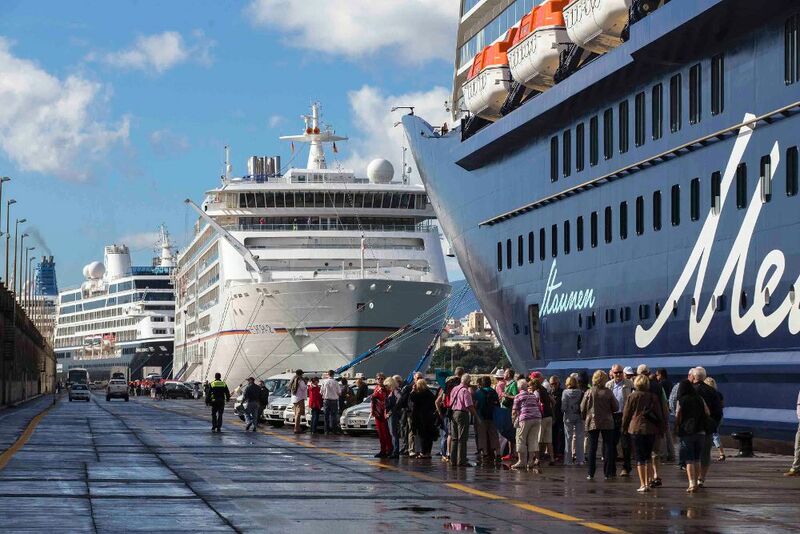 Classic Collection Holidays has reported “very strong sales” to the Canary Islands, with an average year-on-year increase of more than 9% across Tenerife, Gran Canaria, Lanzarote and Fuerteventura. Gran Canaria is reported to be the strongest individual performer amongst the islands, with summer increases in sales of more than 30%, while Tenerife has recorded a 9% rise. Gary Boyer, head of purchasing for the operator, said: “We’re delighted with the performance of these perennial island favourites and continue to work closely with our hotel partners in the islands to deliver the best possible value and price to our customers. “We are also very thankful to the travel trade for their support and we will continue to go the extra mile to secure a booking on behalf of their clients. At the moment, summer is shaping up to be very busy and many hoteliers have precautionary ‘stopsales’ in place. However, we won’t take that at face value and our reservations staff will always ring the hotel at the enquiry stage to see whether or not it is possible to secure a room for agents’ clients.” In response to demand, the operator has increased capacity throughout the region for 2016/17 with the introduction of 20 new properties in Tenerife, Gran Canaria, Fuerteventura and Lanzarote. These properties debut in the operator’s new-look Canary Islands brochure which now includes an events, golf and spa guide in the opening pages. The operator is also promoting twin and multi-centre holidays to the islands, as well as an eight-day boutique cruise on the motor cruising mega-yacht, Harmony V. The company has also secured the muchanticipated Hard Rock Hotel Tenerife which offers direct access to Playa Paraiso beach on the island’s south coast. Three-night prices in November start from £788 per person on a bed-and-breakfast basis, while seven-night prices next January start from £1,331.